Hey Darlings! This is a quick outfit post; I hate that I leave my blog for long without posting because I stalk so many blogs daily like seriously! I’ve been loving white lately; I’m pretty sure y’all can tell 🙂 I wore this to church today. PS Please I would LOVEEE if you can check this post from Tomilola HERE very enlightening, I’m sure we can all learn a thing or two from it. Thanks for this dear! N a big congrats to ur brother n cousins. You look smashing, doll! Congrats to your little brother and cousin. High school graduations always make me feel old, lol. I read your feature in Women to women and it was truly you. 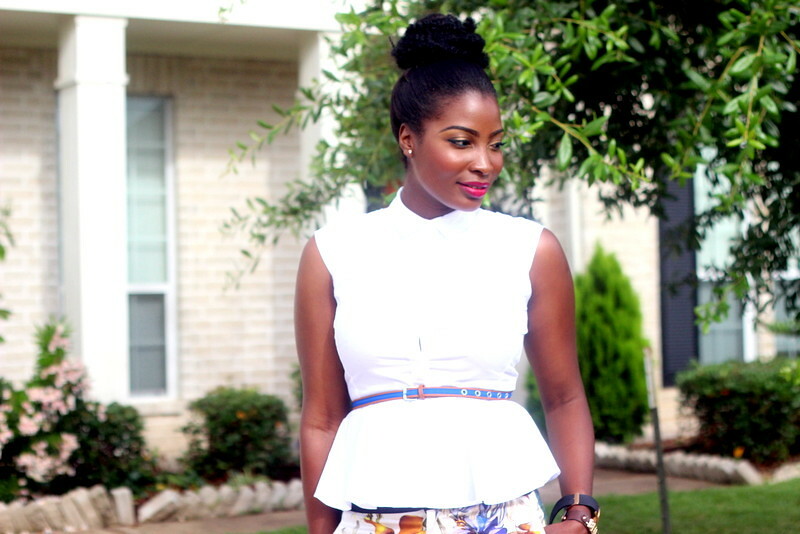 I have been following your blog for a couple months now via bloglovin and your style is exceptional. Looking forward to more. . .
White looks lovelyyy on you. 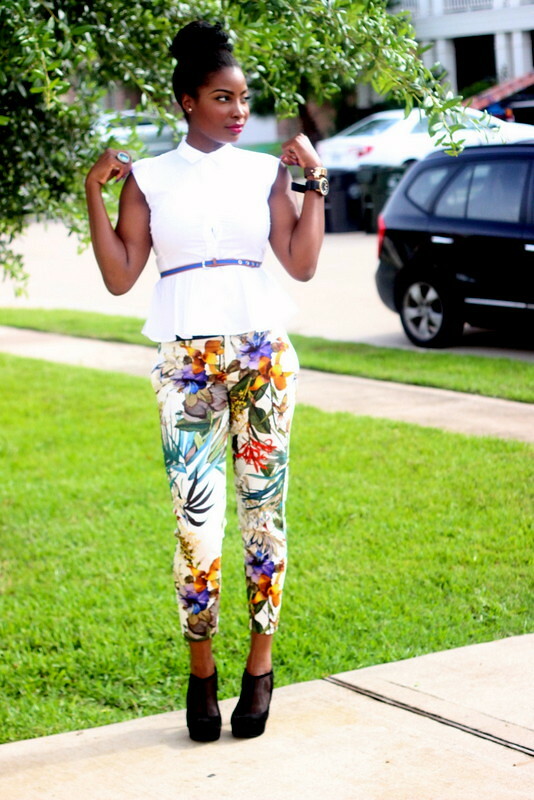 You always exude sophistication in white Love the pants and your hair always looks so nice even when it's sleeked up! There is no outfit or hairstyle that you can't pull off!! Gorgeous as always! 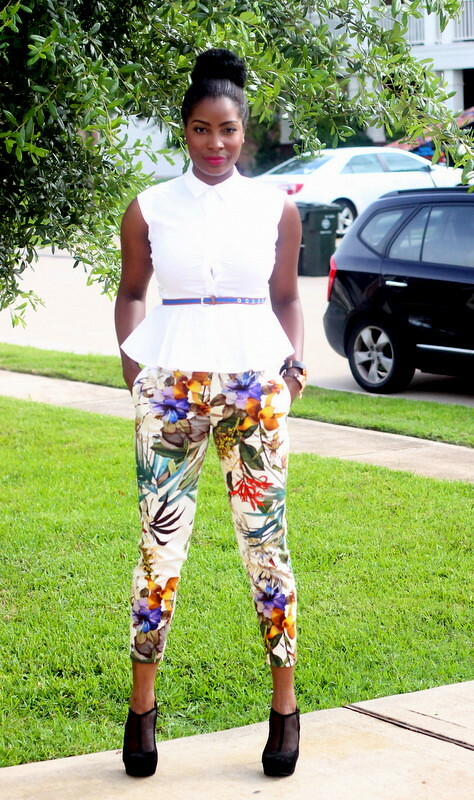 I love this outfit and how you paired the floral pants! Sweetie.. I love u and ur looks..
Its jes dat u shouldn't av lied about your age.. Ur definitely not 21 yrs..
pwetty baby! !love white too.hust scared to try it most times.love ur pants..yes everyone needs ti check that post out.very enlightening. gorgeous as always!! Loving this whole look!! I have similar pants from h&m. I need that top!! Fab look!!!!! You look stunning as always… Love the pants so much. Congrats to your brother and couz. 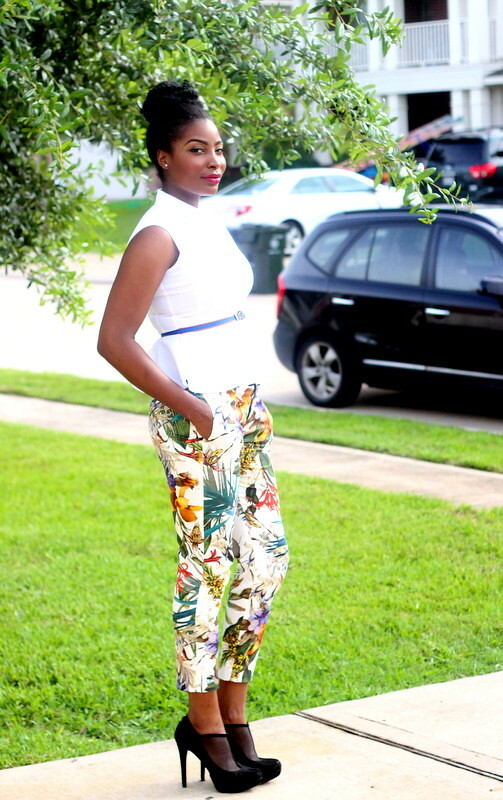 wow I'm a little green with envy for your floral pants! It's an amazing print! 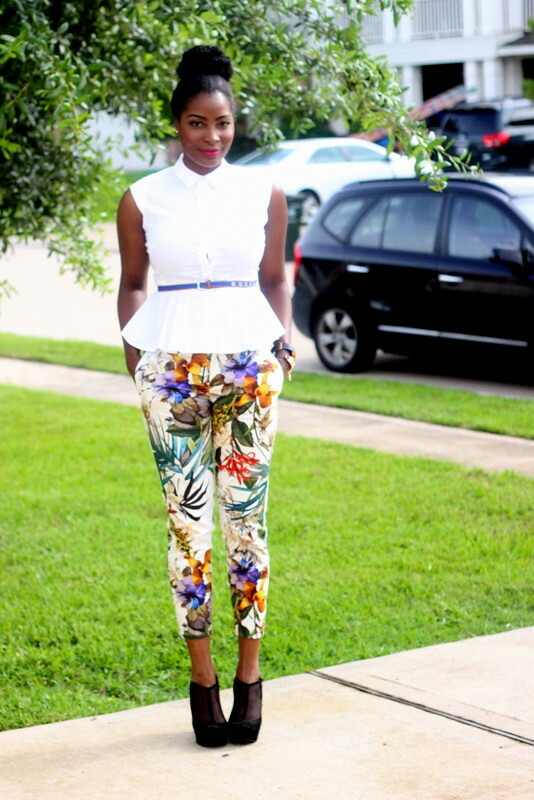 I LOVE this outfit, I am a huge fan of the printed pant. I found you through Suzanne Carillo's blog. You are SERIOUSLY beautiful too.